I have recently picked myself up a bargain-priced, Canon EOS 30V 35mm film SLR. Which was released by Canon approximately at teh same time that my 400D Digital SLR was, and the added benefit is that all my lenses and future accessories will be compatible with both bodies. (With the exception of EF-S lenses). 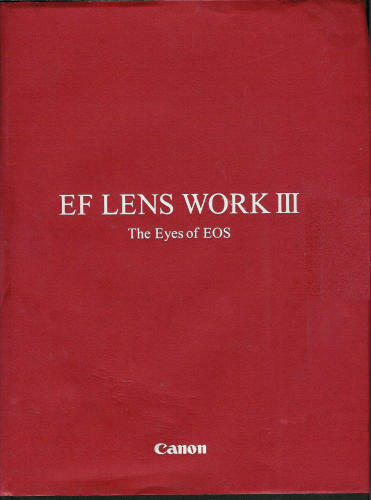 The 30V also has a system called Eye Control Focusing. It works simply by “knowing” which part of the viefinder you are looking at, and it will focus on the nearest AutoFocus Zone to where you are looking. Generally a point and shoot camera will focus at the centre of the image all the time. SLR cameras have multiple focus points that are usually selected manually by the user by pressing buttons, or the camera can automatically select the “best” point. But the Eye Control Focus lets the user slect the point manually by simply looking at the desired point of the frame. For example if you’re shooting a group of people standing in a line, you would compose the image so as to fit everyone in the frame as desired, but if you want to highlight the focus on one particular individual, you would simply look at that person through the viewfinder and press the shutter release to take the image. Very neat system when used in the right places. I have always loved the “suprise” of opening a pack of freshly printed photo’s that were shot with film, and there is something just plain fun about shooting film. I also love black and white, especially for portraits or groups of people, which I feel digital lacks the character that B&W film can deliver. It also adds a little elegance to portraits, and also highlights the technical attributes of a picture. Rather than being reliant on bright/ saturated colours to grab your attention, your composition, lighting and perspective must do the attention grabbing instead. Thanks to Nige Honey for suggesting I see Alan at PhotoForce in Hobart (free plug) to discuss what options for film would best suit my needs. So hopefully I have somthing worthwhile to share in the near future.